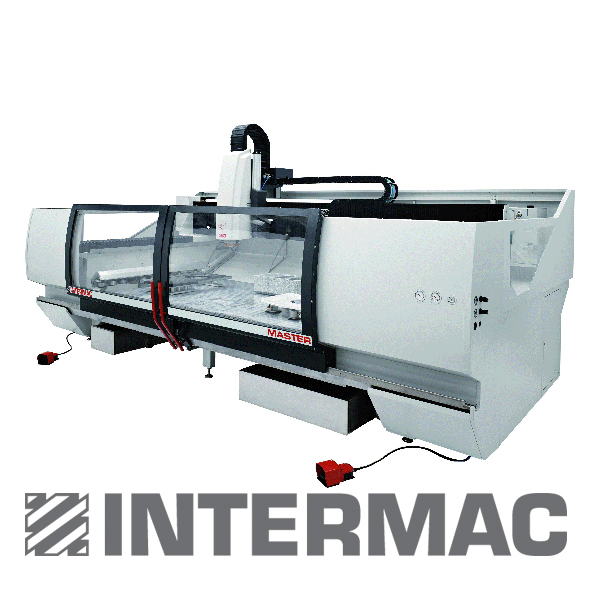 Intermac Master 30 Work Center. The cut to size solution. Designed for companies requiring high production and for small businesses needing to automate their production process. Equipped with a work table of over 118” in length (3m), the Master 30 provides the same sturdiness, precision and speed as those obtainable from higher performance machines such as the Master 33 and 43. For just a small investment, the Master 30 will supply top quality results. A detailed study of both the commercial and technical requirements of those operating within the sector has led to the creation of a machine tool in which the numerical control is fully integrated in a PC running Windows 7, thus simplifying machine management as much as possible. Advanced CAD modeling systems. Profiles, carving, tapering, kitchen tops, inlaying, milling, drilling, writing, grinding, aging. Laser device detects geometric templates. One pass detects internal and external profiles of the template. 12-position linear tool change with automatic tool loading through the working unit also an optional second tool magazine.